Services « Petatec Schweiz – Your IT-Consulting and Support Partner. 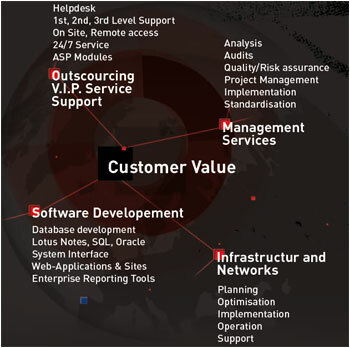 Petatec is a Full Solution Provider for B2B IT-Outsourcing. 1st, & 2nd Level IT Support Helpdesk, Phone-, Remote-, Onsite- Troubleshooting, IS Facility & Financial Management. Choose one of the services below to find out how Petatec can help improving your business.